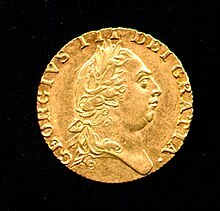 ^ a b c "George III". 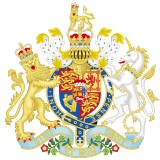 Official website of the British monarchy. 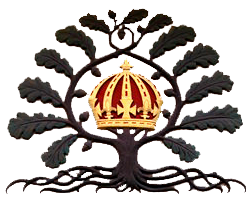 Royal Household. 31 December 2015. Retrieved 18 April 2016. 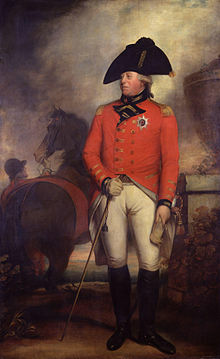 William IV was King of the United Kingdom of Great Britain and Ireland and King of Hanover from 26 June 1830 until his death in 1837. 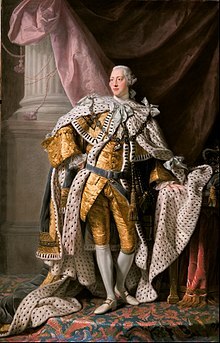 The third son of George III, William succeeded his elder brother George IV, becoming the last king and penultimate monarch of Britain's House of Hanover. 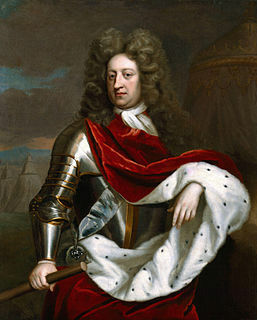 Prince Frederick, Duke of York and Albany was the second son of George III, King of the United Kingdom and Hanover, and his consort Charlotte of Mecklenburg-Strelitz. 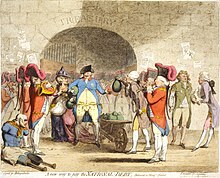 A soldier by profession, from 1764 to 1803 he was Prince-Bishop of Osnabrück in the Holy Roman Empire. 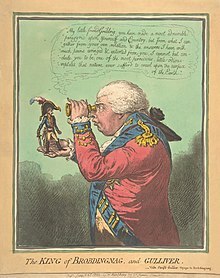 From the death of his father in 1820 until his own death in 1827 he was the heir presumptive to his elder brother, George IV, in both the United Kingdom of Great Britain and Ireland and the Kingdom of Hanover. 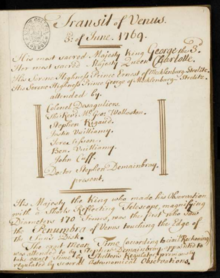 Charlotte of Mecklenburg-Strelitz was the wife of King George III. 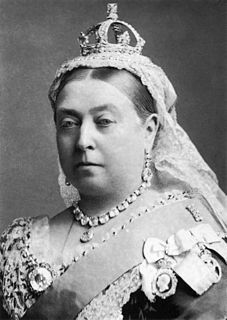 She served as Queen of Great Britain and Queen of Ireland from her wedding in 1761 until the union of the two kingdoms in 1801, after which she was Queen of the United Kingdom of Great Britain and Ireland until her death in 1818. She was also the Electress of Hanover in the Holy Roman Empire until the promotion of her husband to King of Hanover on 12 October 1814, after which she was also queen consort of Hanover. 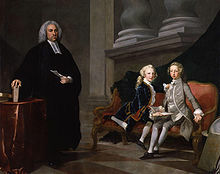 William Cavendish, 4th Duke of Devonshire,, styled Lord Cavendish before 1729 and Marquess of Hartington between 1729 and 1755, was a British Whig statesman and nobleman who was briefly nominal Prime Minister of Great Britain. 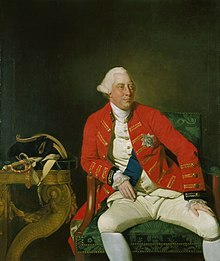 He was the first son of William Cavendish, 3rd Duke of Devonshire and his wife, the former Catherine Hoskins. 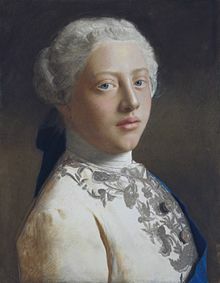 Prince Adolphus, Duke of Cambridge, was the tenth child and seventh son of the British king George III and Charlotte of Mecklenburg-Strelitz. 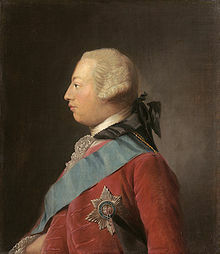 He held the title of Duke of Cambridge from 1801 until his death. 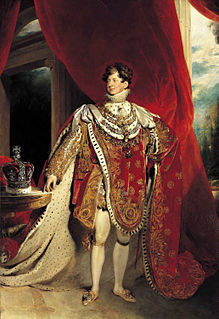 He also served as Viceroy of Hanover on behalf of his brothers George IV and William IV. George V was the last king of Hanover, the only child and successor of King Ernest Augustus. George V's reign was ended during the Unification of Germany. 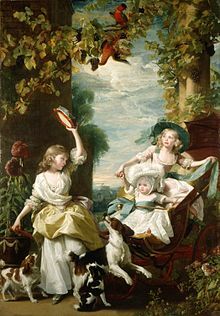 Princess Sophia of the United Kingdom was the twelfth child and fifth daughter of King George III and Charlotte of Mecklenburg-Strelitz. Sophia is perhaps best known for the rumours surrounding a supposed illegitimate child to whom she gave birth as a young woman.